The burgeoning battery technology and clean energy markets are creating some unlikely new geological frontiers for the West Perth entrepreneurial set and the little known, but mineral rich island of Greenland is a good case in point. Greenland boasts some truly massive in-ground resources, offering up that “wild frontier” status that is so often irresistible to Perth’s mining glitterati. One small cap ASX-listed company seeking large cap status on the back of its Greenland rare earths play is Greenland Minerals and Energy. Greenland Minerals’ rare earths project is a remarkable example of the enormous scale of the mineral endowment that exists on the world’s largest non-continental island. The company is hoping to feed the industrial magnet market with its basket of rare earths that includes “neodymium”, “praseodymium”, “dysprosium” and “terbium”. The industrial magnet market is expected to hit its straps in coming years as the electrification of automobiles really takes off and clean energy projects become the norm rather than the exception. Industrial magnets are very powerful magnets that form an integral part of electric and industrial engines. They are typically found in electric cars and even giant windmill turbines. For a relatively unknown small cap company, Greenland Minerals and Energy ticks a surprising number of boxes when it comes to its Greenland rare earths project that already has a lucrative looking feasibility study on the street. It is truly huge in scale, flat lying and jumping out of the ground at surface, just 8km from the coast, with year-round shipping access. Its miniscule, one to one stripping ratio would make a gold miner blush and it also boasts exquisite, non-refractory metallurgy that allows for a dramatic increase in grade via relatively simple and inexpensive processing. Importantly, the company has already managed to lasso a high end Chinese partner with a multi-billion dollar balance sheet and arguably the best rare earths processing knowledge on the planet. Shenghe Resources, the second largest global producer of rare earths has already taken a 12.5%, $5m stake in Greenland Minerals above market, representing a serious vote of confidence in the company’s Kvanefjeld rare earths project. With a market cap of around $4.5billion, Shenghe Resources packs a punch in the rare earths space as a trader, miner and producer of rare earths with a mandate to spread its wings beyond China, most notably in a consortium restarting Mountain Pass in the United States. China has no peer when it comes to the mining and production of rare earths and Shenghe Resources operates the second largest rare earths mine in the red dragon nation. Greenland Minerals’ Kvanefjeld rare earths project contains a staggering 1 billion tonne resource with 108m tonnes already converted to reserves to underpin an initial 37-year mine life and an NPV of USD$1.59b. The company says the project will spit out free cash each year in the order of USD$240m at today’s rare earths prices and an eye watering USD$376m a year at predicted future prices. Interestingly, those bottom line numbers were struck in a feasibility study undertaken before Shenghe lent their technical expertise to the company’s processing flow sheet. That technical expertise resulted in an upgrade of the mineral concentrate produced from 14% as contemplated in the feasibility study to over 23% courtesy of a few Shenghe tweaks. Apart from potentially adding to the bottom line, the dramatic grade enhancement of the mineral concentrate opens up the possibility of a phased capital build with the mineral concentrate being direct shipped initially instead of being upgraded to a rare earth concentrate via the acid leach circuit. Demand for the key magnet rare earth metals of neodymium, praseodymium, dysprosium and terbium, which are all present at Kvanefjeld, is predicted to fly into orbit by 2020, partly due to China’s new found environmental activism which resulted in the closing down of a number of illegal and less than environmentally conscious rare earths mines recently. In addition to the awesome foursome group of industrial magnet rare earths, Greenland Minerals’ Kvanefjeld project also looks to be well endowed with uranium, zinc and fluorspar credits, further de-risking the project. The company’s rare earths are directly targeted at the clean energy market which now looks to be unstoppable. Key drivers are China’s decision to phase out combustion engines and Britain and France’s ban on all petrol and diesel vehicles by the year 2040. Volvo are going all electric off the production line and Jaguar and Land Rover will adopt electric engines from 2020. In the renewable energy space, Europe’s growth in offshore wind power will need to triple to meet the Paris Climate Change Accord agreement and over 150 countries are now adopting future policies targeting renewable power. Wind turbines use up to half a tonne of permanent magnets per megawatt and this source of energy is now rivalling coal in key markets such as the UK. Greenland Minerals say that by 2025, between 70 and 75 million electric and hybrid vehicles will be produced annually, requiring between 12000 and 13,000 Tpf of neodymium, praseodymium and dysprosium. China’s wind power capacity will increase by 175% by 2025, requiring 50,000 tons of neodymium, praseodymium and dysprosium, with 150,000 tons required for global wind turbine production in the period up to 2025. According to John Mair, Greenland Minerals’ Managing Director, the viability and economics of a rare earths projects is more dependent on metallurgical performance than grade. Typically, rare earths tend to be locked within minerals that are high-refractory, or vault-like structures, however, by contrast, the unique minerals at Kvanefjeld are non-refractory, allowing for simpler processing and lower production costs. Rare earths can be “liberated” from non-refractory ores very easily and this is Greenland Minerals point of difference. Expensive high temperature roasting is also not necessary at Kvanefjeld because of the favourable metallurgy. Greenland Minerals is now riding shotgun with Shenghe and is very focussed on reducing its expected USD$832m capex bill by smartening up the project's processing flow sheet courtesy of Shenghe’s technical know how. Potential changes include an improved and simpler acid leach circuit and more tweaking of the mineral concentrate grades, all of which could lead to a drastic reduction in capex and an updated feasibility study. Even at USD$832m capex, the compani is predicting an impressive 43% IRR which means that any material reduction in the expected capex figure should result in the IRR being catapulted into the stratosphere. 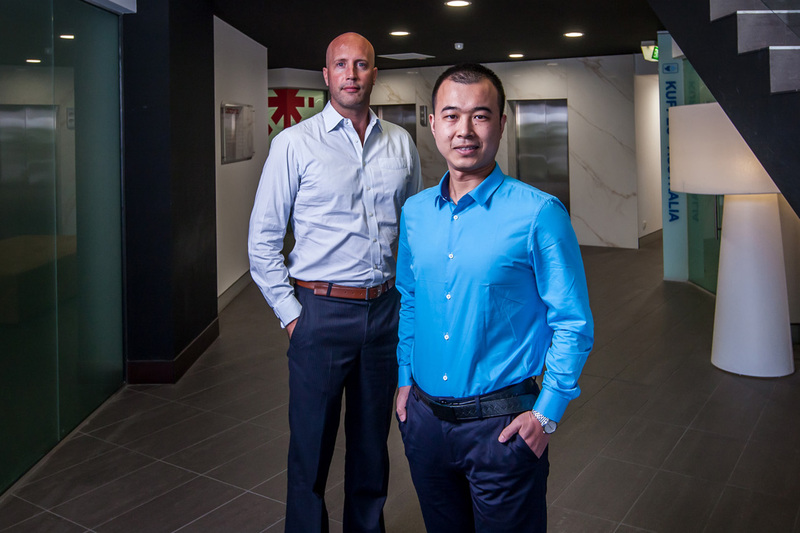 The company is now well funded too after a recent oversubscribed $10.25m capital raise courtesy of West Perth corporate finance tyro Ashanti Capital. Ashanti, who is still bristling with success after recently putting away a $54m raise for Bacanora Minerals, brought a solid gaggle of institutional investors to the Greenland Minerals register in the last raise. All however are dwarfed by the $4.5b Chinese goliath Shenghe who are lurking purposefully at the top of the 8.3c a share Greenland Minerals register.